In the market for a new mop? 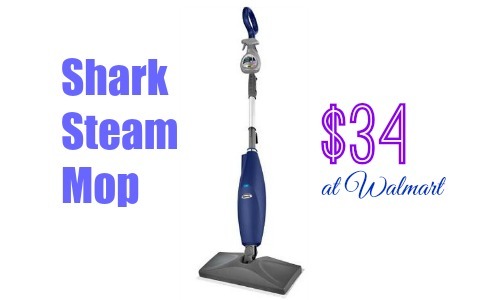 Head to Walmart to get the Shark Easy Spray Mop DLX for $34 (regularly $69). The mop deep cleans and sanitizes all wood and hard floors surfaces. It also comes with a 10 oz bottle of Steam Energized Cleanser and (2) Disposable SaniFiber Pads. This mop provides superior cleaning and faster dry times in an easy to use, lightweight mop design. Offer valid for a limited time. Choose in-store pickup to avoid shipping costs.